September 2016 - Hairlicious Inc.
Amino acids broken down small enough to penetrate and adhere to the hair shaft providing it with strength and protection against damage. Due to its low molecular weight, Hydrolyzed Keratin provides temporary repair to damaged hair by filling in the cracks along the hair shaft caused by i.e. chemical treatments, excessive direct heat, manipulation etc. 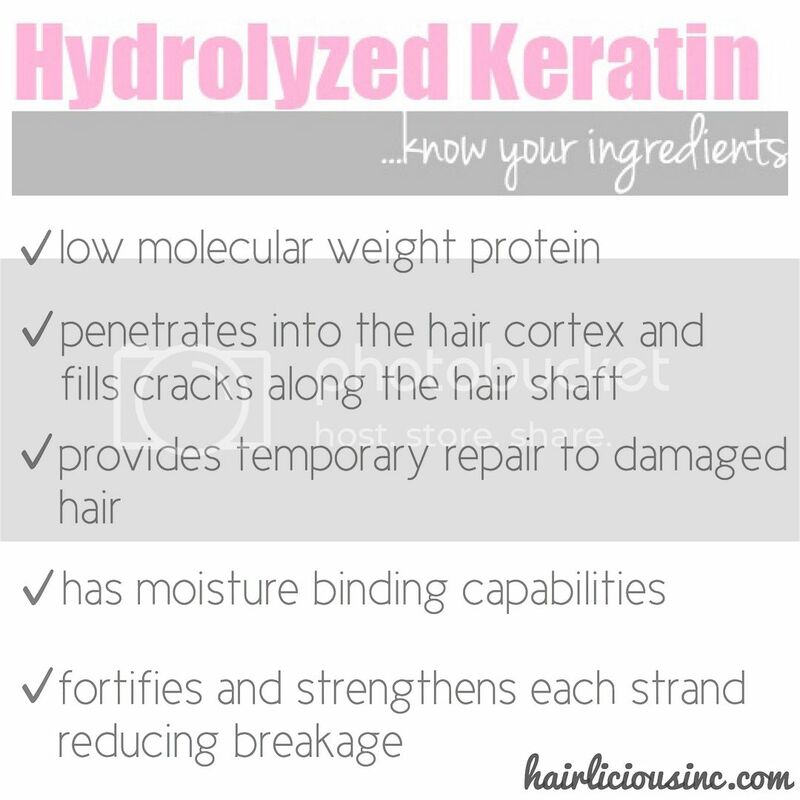 Hydrolyzed Keratin will fortify and strengthen the hair by penetrating into cuticle and cortex of the hair shaft. Due to its moisture binding capabilities, Hydrolyzed Keratin increases the moisture content in the hair, restores shine and body, increases elasticity, reduces breakage and increases manageability. 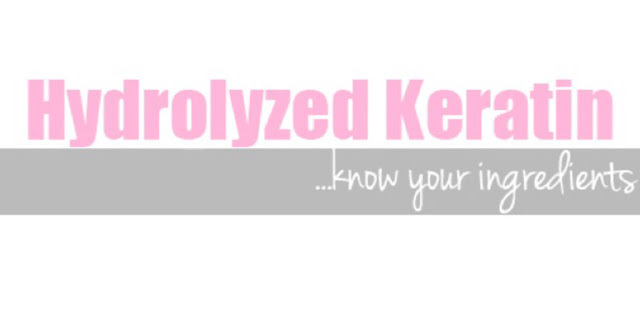 Hydrolyzed Keratin is a necessary component in keeping your hair healthy. Do you use any products that contain Hydrolyzed Keratin? If so, how often do you use it? This question ---> "How do I get thicker relaxed hair?" is probably the most frequently asked question I have received while on my hair journey. It's definitely a question that I love to answer simply because I always desired to know how I could thicken up my own hair, prior to starting my hair journey in 2007. Since then, its been my mission to find the answers! 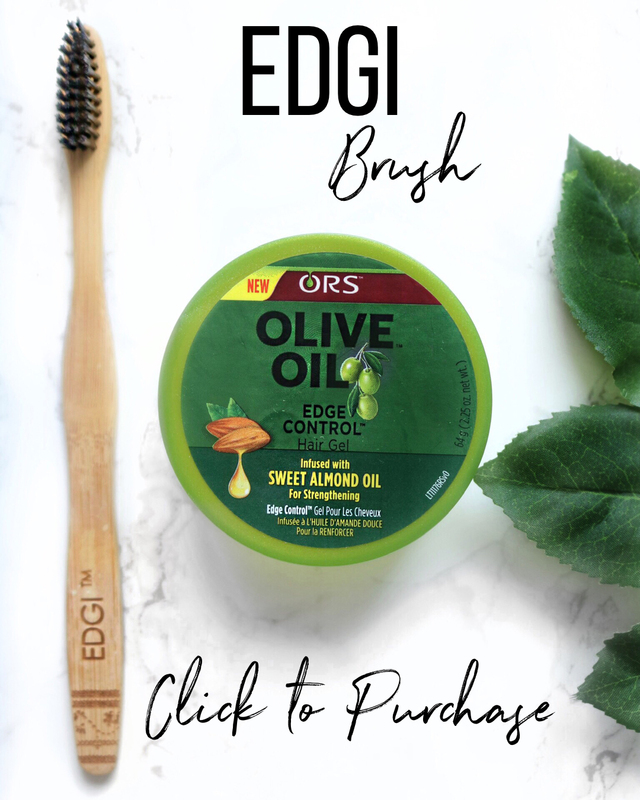 Here are a few tips I "swear by" that have helped me thicken up my relaxed hair! It is highly recommended to space out your relaxers as far as possible. Why you ask? Well by stretching out your relaxers you are giving your hair a much needed break so that your new growth has a chance to grow in fully before reapplying your relaxer touch up. On the flip side, when your new growth is not "visible", the possibility of overlapping your relaxer i.e. applying relaxer on the previously relaxed hair, is HIGH. Overlapping your relaxer is a HUGE no-no as it can cause thinness, breakage and overall damage to your relaxed hair. 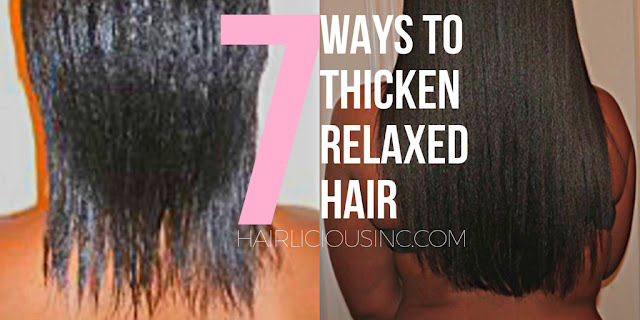 Stretching your relaxers (10-12 weeks minimum) makes your hair stronger and thicker over time! Normal strength relaxers tend to process the hair at a much slower rate than extra strength relaxers. The slower process along with a quick application time (15-20 mins; fast relaxer speed = less processing = less texture removed from the hair = thicker hair) is a great way to leave texture in your strands. More texture = thicker/dense strands. Also, apply the relaxer to the new growth ONLY - nowhere else. 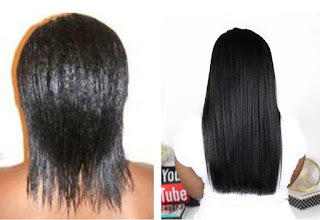 Previously relaxed hair does not need to be relaxed again (this is called over-processing which leads to thinness). Never ever relax your hair without your ends being protected from the relaxer. 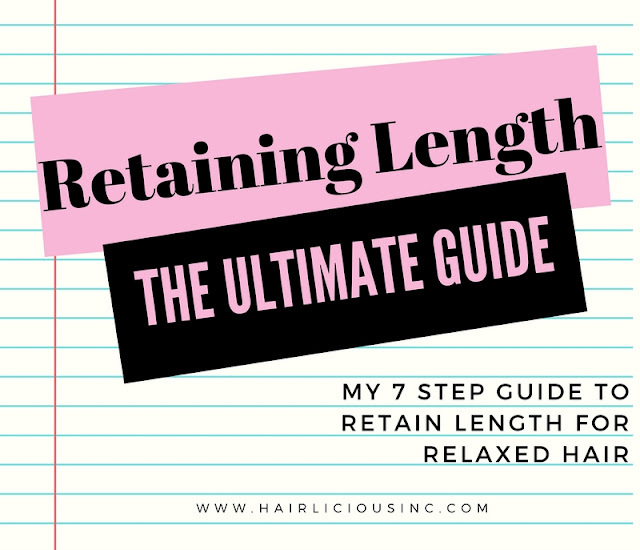 Relaxing previously relaxed hair can cause your hair to be over-processed which eventually leads to thinness and breakage. Protecting the length of your hair, all the way to the ends, creates a barrier between your hair and the run-off of the relaxer. Beware that rinsing out your relaxer, without protection, the length of your hair is at risk of being processed! It is essential to coat your strands with Vaseline (nothing is penetrating through that), Castor Oil, or Porosity Control Conditioner for maximum protection. Coconut oil is the most penetrating natural oil and very beneficial for relaxed hair. Coconut oil is known to protect the hair from protein loss when used as a pre-shampoo treatment. In other words, it helps prevent damage to the cuticle/hair as it penetrates deeply into the cortex of the hair; therefore, little to no protein is lost. Less damage = stronger fuller cuticle = thicker hair. 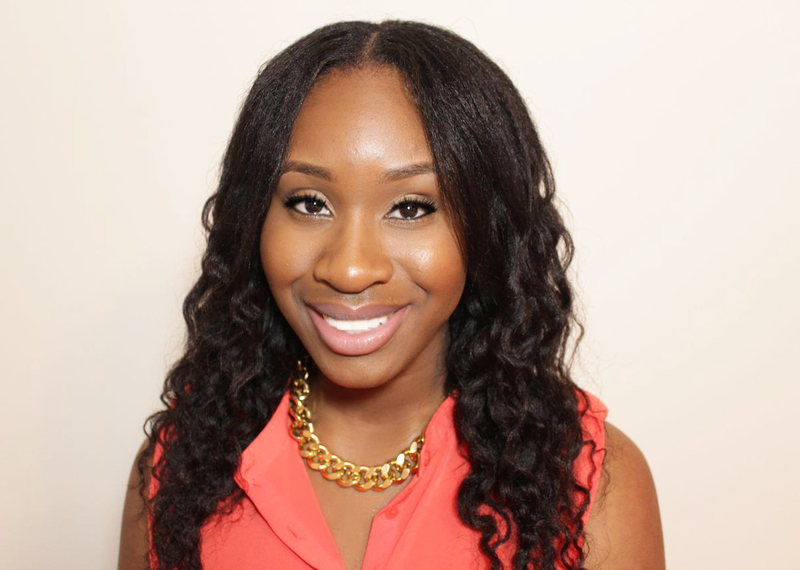 Protein is your friend but more importantly, relaxed hair needs it! Protein causes the hair to swell in diameter thus increasing the thickness of your relaxed strands. Protein treatments strengthen and fortify the hair preventing breakage. Always use products with "hydrolyzed protein" as they are small enough to penetrate into the hair cortex, i.e. hydrolyzed keratin, hydrolyzed collagen, hydrolyzed animal protein etc., to aid in patching up damaged areas along the hair shaft creating a fuller thicker strand. Always follow up your protein treatments with a moisturizing treatment to soften and smooth out the hair. Remove thin ends immediately. As the saying goes "health over length" is nothing but the truth! Don't hold on to thin ends for the sake of claiming "BSL or MBL". Even if your hair will be shorter once trimmed, there is nothing better than seeing hair with beautiful full blunt ends. 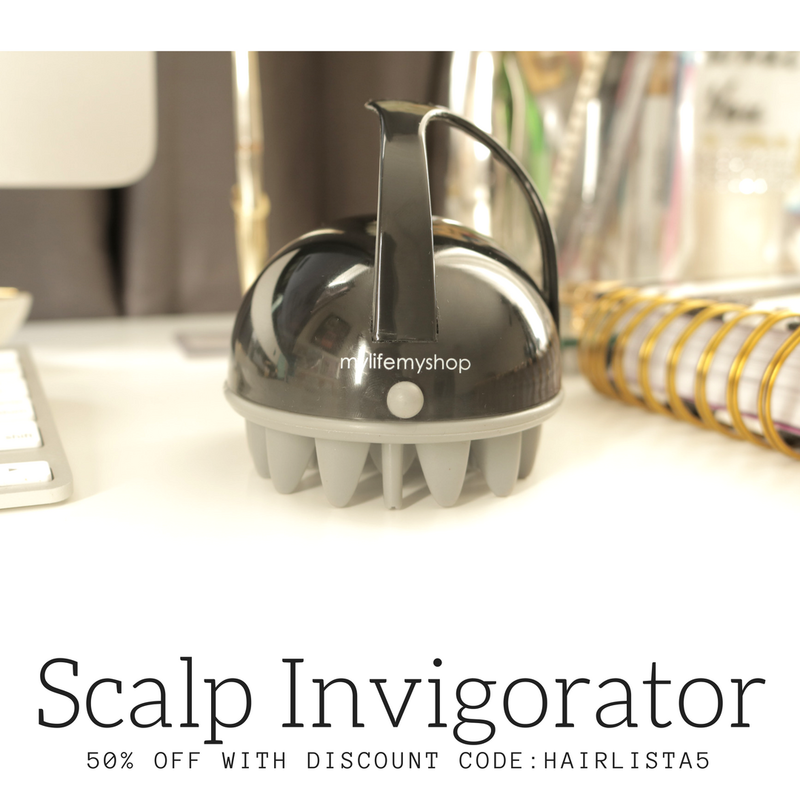 Your hair will automatically feel and look thicker. Maintain your trimmed ends on a cycle that works for you i.e. mini trims every 8 weeks, trims every 3 or 6 months etc. Remember to use sharp shears designed for hair cutting only. Panthenol is a humectant commonly found in deep conditioners and leave-ins. Humectants draw moisture from the air into the hair. Panthenol is also capable of penetrating the hair cuticle and cortex; therefore, helping to thicken each hair shaft naturally up to 10%. Look for deep conditioners and leave-in products (moisturizers too!) to aid in thickening up your hair. What tips do you "swear by" that have contributed to thickening up your hair? I had a wedding and got married to my bestfriend - YUP! You see, planning a wedding is NO JOKE! It literally takes every fiber of your being, mentally (i.e. budgeting, picking theme colours, picking linen, reading reviews, magazines etc.) and physically (i.e. hiring vendors, finding a venue, food tasting, cake tasting, dress shopping, etc. )...especially when you are so particular like myself *sigh* July and August equalled crunch time! So those two months were a write-off for me as I actually had no mental space left to focus on my blog, as per usual. Anyways, back to my brief wedding synopsis...it was on Sunday August 21, 2016 with an intimate guest list of approximately 95 of our closest family and friends. Our special day was truly a magical event and hands-down the best day ever! 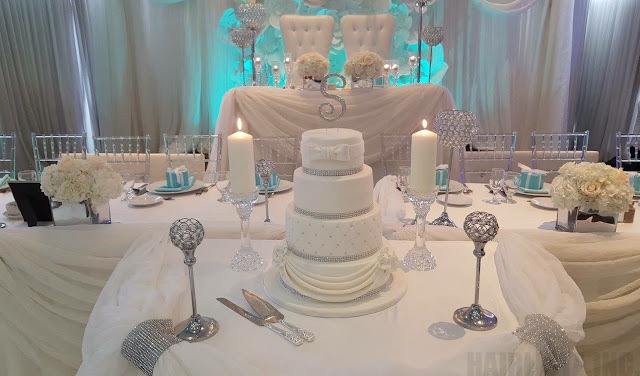 The theme colour was splashes of Tiffany Blue, Ivory linen and flowers with Bling! The day was flawless from start to finish, from waking up at 5:45am, to watching the rain turn to beautiful sunshine, to eating breakfast with my bridesmaids, turning the house into a full studio set with hair and makeup, to arriving at the church and walking down that isle with butterflies in my stomach...it was perfect. I heard of a few wedding disasters i.e. cake melting, vendors not arriving on time, heels breaking, wrong limo showing up etc. and because of that, in the back of my mind, I was actually expecting something to go wrong but it didn't - thank you Lord!